Interacting with others when you can’t speak can feel overwhelming. Get the information and hands-on experience you need to open up the world of communication with AAC. Learn the basics about augmentative and alternative communication, or explore a learning module for even more information. Learn about the difference between language and communication, or explore a learning module to go more in depth. 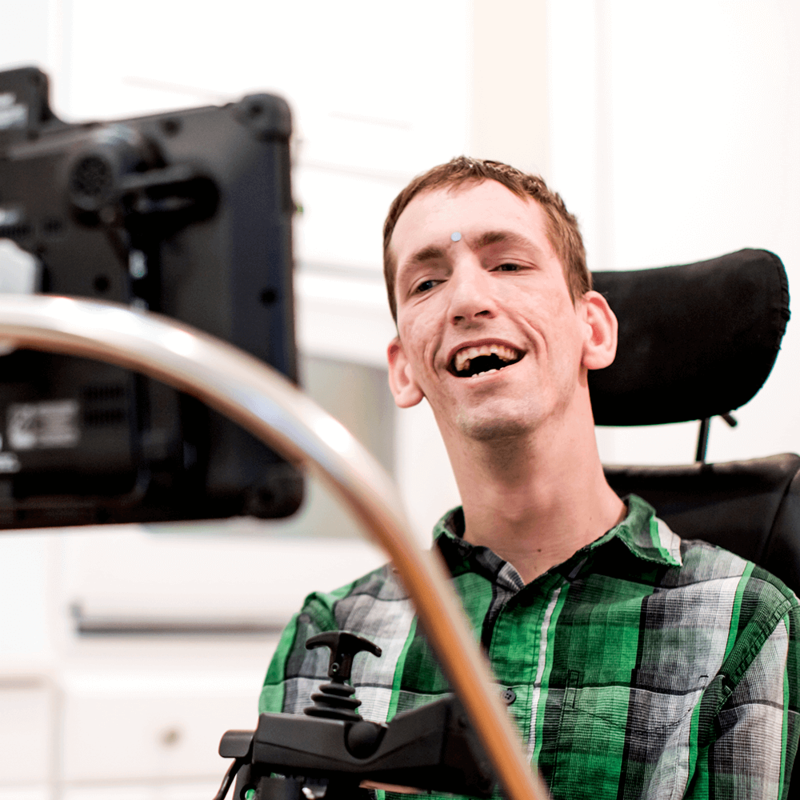 Explore the stories of real-life people who use AAC. Explore funded device solutions and app solutions offered by PRC-Saltillo. 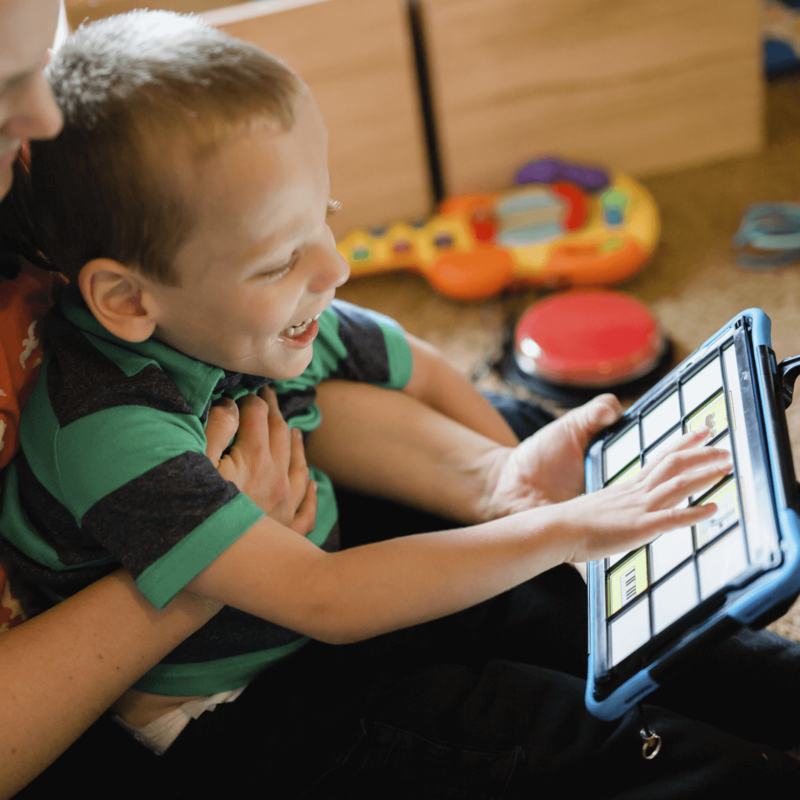 Explore and experience AAC systems with guided hands-on practice. Get connected with a local consultant who can offer free support, and explore the other resources PRC-Saltillo has at your fingertips. The words that make up AAC have special meaning. Augmentative means to supplement or add to existing abilities. Alternative means to use something in a different way. So, Augmentative and Alternative Communication (AAC) offers individuals a communication system that can add to or replace speech. This might be a book of pictures, a specialized app, or dedicated communication technologies. Think of AAC as a set of tools and strategies that are used to solve everyday communication challenges. People with severe speech or language difficulties rely on AAC to learn language, supplement existing speech, or replace speech that is not functional. For example, some children are born with difficulty controlling their tongue, lips, and vocal cords. Others may have difficulties learning speech because of Autism, Down Syndrome or other developmental disabilities. Some individuals may lose the ability to speak due to an injury or disease. AAC can help all of these individuals say what they want, and help them learn language along the way. There are many different kinds of AAC systems. An AAC evaluation team (usually led by a speech-language pathologist) typically determines an individual communicator's strengths and needs then tries different systems or devices to determine the best fit for that person. When the AAC system uses voice output, it is often referred to as a speech generating device or SGD. AAC is a voice for people who can't speak. Want to get on your way to becoming an AAC expert? Start here with a crash course on the basics of AAC and learn at your own pace. Even before a child can talk, she begins communicating through crying, gazing, cooing, etc. We continue to communicate in a variety of ways throughout life. It is a fundamental human need to express oneself. When an individual doesn't have the ability to use their natural speech, AAC provides solutions to allow a person to participate in, and enjoy, interactions with others. Communication is about the social interaction and the message. We communicate to send and receive information — to express thoughts and ideas, learn new things, and build relationships with others. Language represents words, either spoken or written. We use words and combine them in a structured, rule-governed way. For example, we would never say, “Sister, how feeling she?” but rather “How is your sister feeling?” The rules of a language are primarily learned through exposure and practice. AAC Systems are methods of communication used to supplement or replace spoken or written language. A speech generating device (an AAC system with voice output), will have vocabulary organized to help the individual communicate. The vocabulary system might include words, phrases, sentences, keyboards or a combination of all of these. People who are unable to communicate using their voice use AAC systems to communicate. See how individuals use different AAC systems to meet their unique needs, and how AAC impacts their ability to participate and interact with others at home, at school, at work, and in the community. His mom, Sheri Dinwiddie, describes him as big-hearted, observant and personable. Oh, he is also non-verbal, at least in the traditional sense of the word, but with the assistance of his Accent device, he has a lot to say. Kyle shared his needs and thoughts through an adapted sign language that the family uses with him, a modified version of the game charades. One symbol can stand for three or four different meanings, but it is a way for Kyle to let his family know what he wants. Each of the pictured icons on the Accent open a page on which Kyle can drill down, select a string of words to convey his thoughts and the computer will then speak them out loud. The auto-predictor allows Kyle to save time by starting the process of typing a word and then choosing from a list of possible words. In fact, Kyle used the Accent this summer when he left home, without any family member, for the first time ever. He spent a week at summer camp and had the best time. 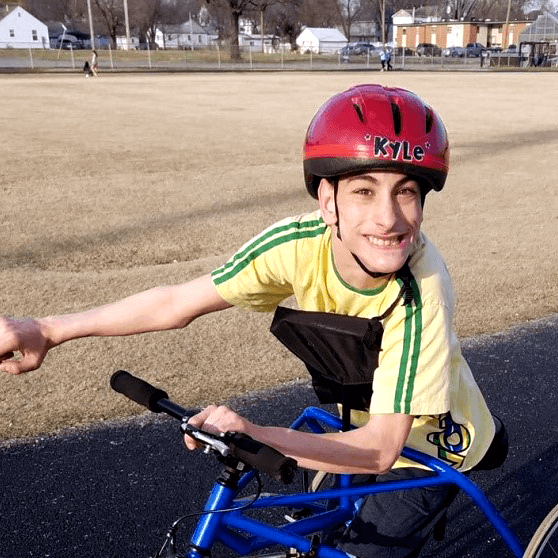 ”We never could have allowed him to have that experience if it weren&apos;t for knowing that he&apos;d be able to communicate effectively with the Accent,” said his Mom. Leaving Kyle at camp all by himself was a big step for his family but the look on his face at the end of that week was a priceless gift. Will he be going back? You bet! “I&apos;m looking forward to going again next year,” said Kyle. Sheri has one thought for parents of children or young adults who are non-verbal. Over the years they have become accustomed to communicating with Kyle using the modified sign language for his basic thoughts, but using the Accent is so much better. 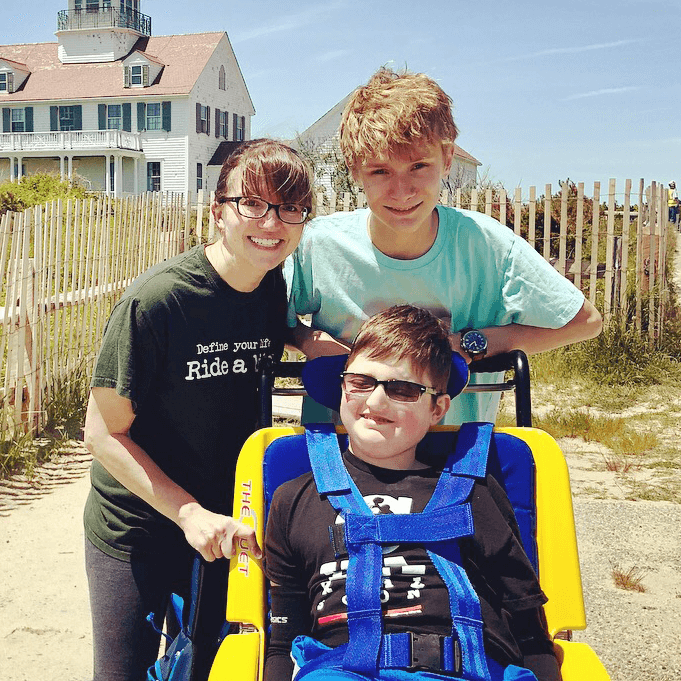 “I see Kyle communicating his exact thoughts using the device when he is out with other people and yet at home, we are still using the sign language we developed when he was a boy,” said Sheri. “As he has grown, so has his vocabulary and it can become an exercise in futility to try and decipher his thoughts using the hand gestures. So we started using the device at home as well. It is so much faster and allows Kyle to tell us what he is thinking without us guessing. Follow Kyle Dinwiddie&apos;s weekly blog “Life with Kyle” on the AAC Language Lab website. You will fall in love with his spirit and be inspired by his view of life and all that he experiences. Brad Whitmoyer is a man who uses the tools available to build a vibrant and productive life. Brad believes in facing reality, adapting as necessary and then taking the bull by the horns. “This increase in speed has allowed so many doors to open for me with communicating to others and with my job,” said Brad. Brad owns and operates his business, BBradley.net LLC, and offers web development and maintenance services. If someone were to ask your opinion on a topic such as religion, sports, or politics, you might have quite a lot to say. It is important that we recognize that those who require the use of a computer device to communicate also want to join the debate. They also have an opinion that they would like to share and it might not be the same as yours. While it may take a little bit of extra time to share your thoughts using the device, Brad wants to encourage you to use it and speak your mind. That is a powerful message and one we can all learn from. When faced with the challenge, we should find a way to persevere. The end result is worth the effort, which leads us to Brad’s advice for success. “I think down to a core attribute for someone with a disability, device user or not, is that you must accept the fact that things will be more difficult, take longer, and at times might not be "fair," said Brad. “By accepting this, I mean it has to be a part of who you are. I hear a lot of people say "I don't consider myself to have a disability.” I've never understood this. If I truly considered myself to not have a disability, I would wake up every morning, go to walk to the bathroom and fall flat on my face. (Brad uses a wheelchair). Brad, you are an inspiration to us all. Xavier Pandrea is a bright, funny and social 15-year old who has an amazingly positive view of life. His Mom, Kristy Pandrea recently provided some insights into the personality of her first born. Close your eyes for a moment and imagine searching through a dictionary that is divided into eight groupings of words. A computerized voice reads through the list of words until you hear the one you want. You click on the word and then begin the search again to find the next word in sentence you wish to communicate. Xavier&apos;s amazing mind has managed to memorize the word groups so that he can quickly move through different selections to string together, not only his needs, but also his opinions, his comments and even funny observations. Xavier loves school and is looking forward to the new year of learning and making friends. His device has enabled him to be more communicative, opening his world to amazing new possibilities. Kristy explained that in some cases the words that Xavier wants to use are not in the device and she has been fascinated to watch him find alternative words to communicate his needs. Macy is a young girl with Rett Syndrome. In early 2017, Sam, Macy's mom, and Macy traveled to Topeka to have an AAC evaluation done. After trying out different devices and eye gaze systems, Macy took to the Accent + NuEye right away. Despite her initial fears, with her Accent + NuEye, Sam is more confident that Macy will be able to express herself… and be heard, whether at home, or at school. Throughout her pregnancy, everything was normal, said Sam, including birth and Macy's early months. She eventually returned to work, and Macy went to daycare. But when Macy was nine months old, Sam noticed that she wasn't sitting up like she should. Sam and her husband took Macy to physical therapy right away. However, noting her low muscle tone, the therapist recommended a neurologist – something the couple weren't expecting. Despite a battery of tests, the family wasn't receiving any answers. Macy continued to progress; however, her progress was extremely slow. By the time their little girl was 15-16 months old, frustrated by the lack of answers, the family went through genetic testing. 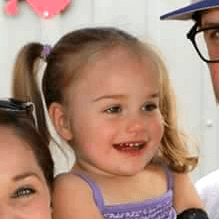 When Macy was 17 months old, they finally received the answer: Rett Syndrome. The family quickly learned that Macy's genetic variant of Rett Syndrome was atypical. 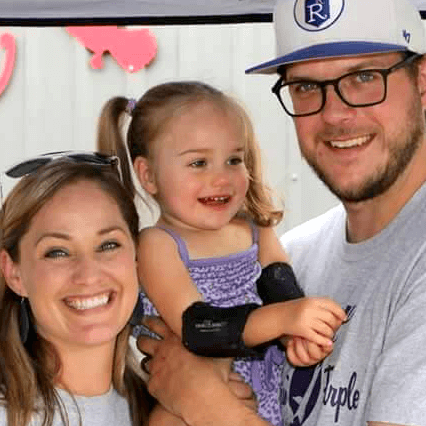 Unlike other Rett girls, Macy hadn't gained skills only to lose them – she had never gained the skills to begin with, making the diagnosis that much harder to obtain. “How is she going to be able to tell me anything?” she remembered thinking, worrying for Macy's future. And so in order to help her daughter, Sam set out to learn as much as possible about Rett Syndrome. In early 2017, Sam and Macy traveled to Topeka to have an AAC evaluation done and Macy took to the Accent + NuEye right away. Additionally, the device has helped Macy progress from 28 one-hit to 36, and this fall she will be moving to the 45 one-hit – at only 3-1/2 years of age, marvels Sam. It's not all hard work, however! Macy, notes her mom, loves to play games on her device. In fact, she's already mastered the available games and will be giving the Timocco-on-Accent games a try. At school, Macy's teachers have incorporated her device into their teaching, whether it's creating a page with all her classmates' photos for easy identification, or using the device in music class to sound out instruments during discussions. Gwen Egley's perfect day includes swimming at the pool and eating an ice cream cone. This creative first-grader loves to make up her own games and color with her younger sister, Sabrina. One time Gwen hurt her finger and asked for a bandage. Instead of becoming upset at the sight of the first aid kit, Gwen became really excited and squealed with delight. That's because it was a sign that her mother, Ann, understood what she wanted. Gwen has used Augmentative and Alternative Communication (AAC) devices for several years, but recently switched to the NovaChat 8, a portable communications system built on an Android™ platform, with great results. According to Krista Davidson, Clinical Associate Professor at the University of Iowa's Wendell Johnson Speech and Hearing Clinic where Gwen attends speech therapy, the NovaChat 8 is a perfect fit because of the core vocabulary available on the device's main screen and how the words are organized. Gwen quickly adjusted to the loaner and it quickly became her new personal communication device. While Gwen still uses signs occasionally, and continues to work on developing oral speech, the NovaChat 8 remains her main method of talking with others. And the rest of the family uses it, too. Ann says that while Gwen has made amazing progress, the entire family is committed to help her advance even further. “Our goal is for her to bring the NovaChat to use to initiate conversation,” she says. “We would love to know what is going on in her brain – why she does certain things and why she does them in a specific order. One day, we hope she'll be able to tell us those things. That's what I'm excited about. Cole Jeffries is a kind, warm-hearted 17-year-old who loves people and technology. He utilizes both to fulfill one of his purposes in life – showing how those without a “natural voice” can fully participate in life with the help of Augmentative and Alternative Communication (AAC). 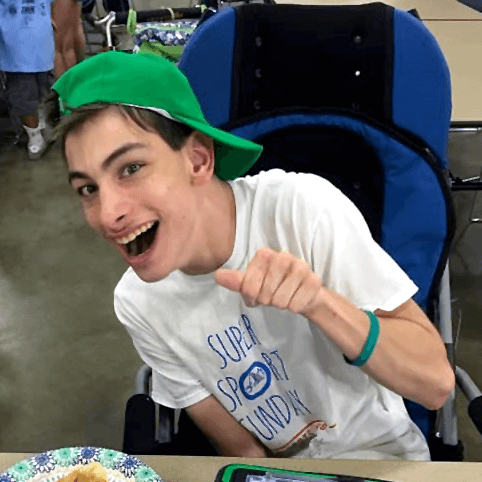 Early on, Cole was a little overwhelmed with the noise at big events, but his incredible desire to meet new people and enjoy every day has kept him going back for more. Over the years, Cole has progressed from using lower-tech to more complex devices. He currently communicates using an iPad® with the TouchChat app from Saltillo. 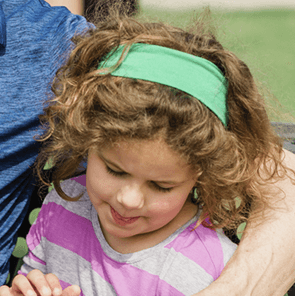 The app is specially designed for people who have difficulty using their “natural voice” due to medical conditions like Cerebral Palsy, Autism, Down Syndrome, ALS, Apraxia and Stroke. Cole uses the app to ask and respond to questions, make comments, say what he wants and needs, and share his interests. He offers his unique perspective on, well, just about everything! He also utilizes iMessaging on his iPad to communicate with family, teachers, and friends. It is exciting for his family to receive a text from Cole about what he is doing at an event, or that he'd like to invite a friend over to play video games. Cole can easily transition from the TouchChat app to his photos and videos, or the Internet, to show something he's “talking” about. 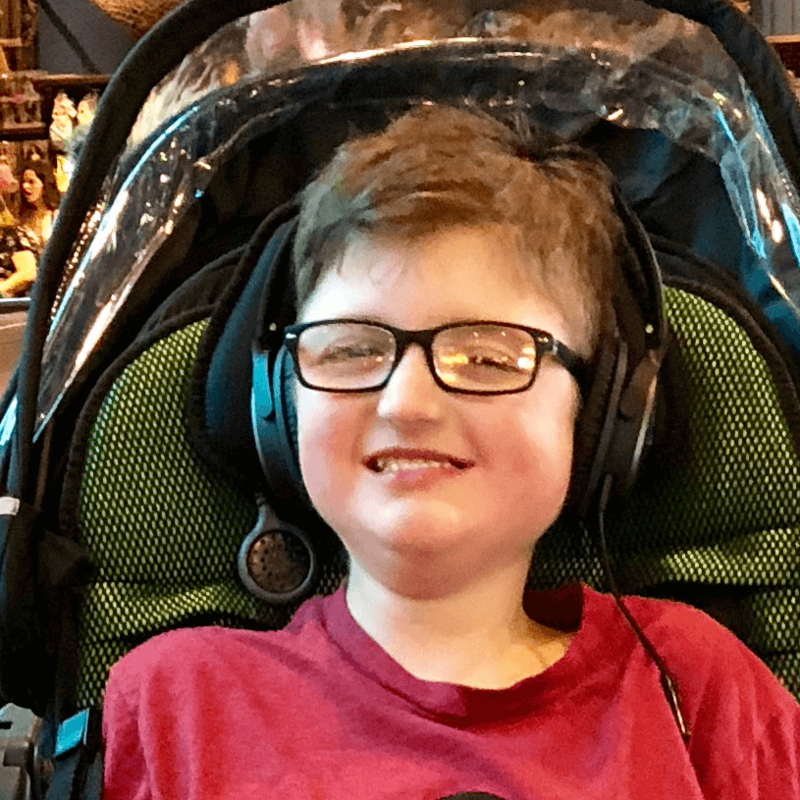 The Jeffries family and those close to Cole warmly refer to his iPad as his “talker.” With TouchChat, Cole asks Dad if they can go to his high school's Friday football game. He “talks” with his big sister Maddy, who recently graduated from The Ohio State University, about the Buckeye's football team. He “speaks” to the waitress in a restaurant after learning that she has a special needs sibling who could use communication assistance. 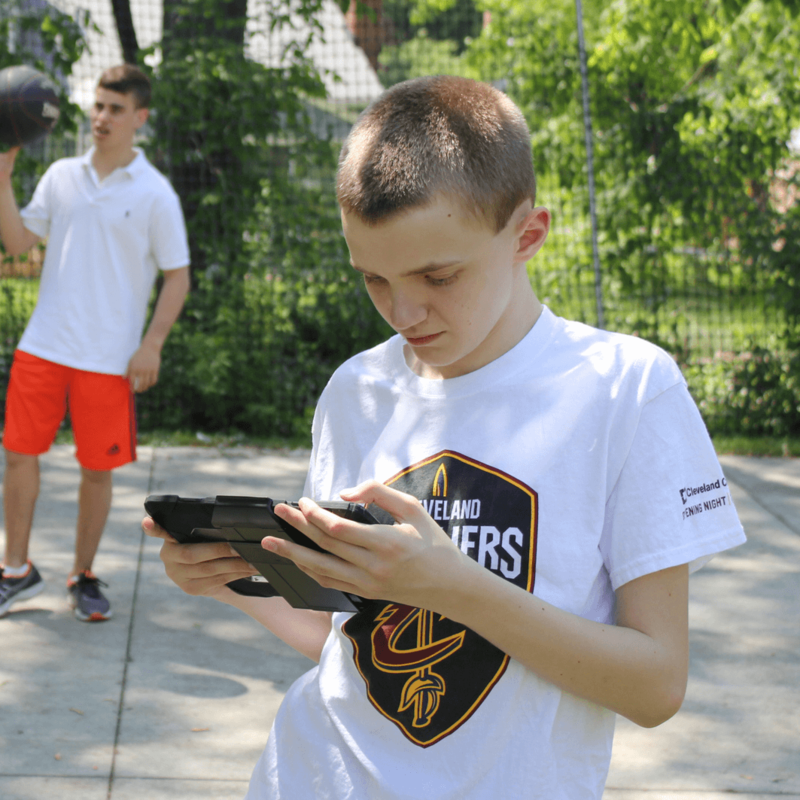 Cole also mentors elementary school students through modeling the use of his AAC device. The teachers say Cole is a great role model because the kids connect with him in a manner in which they can't always connect with an adult. And as a Saltillo Ambassador, Cole meets with graduate-level college students studying to work in speech pathology and early intervention. Through TouchChat, he shows them the power of AAC communication and technology. 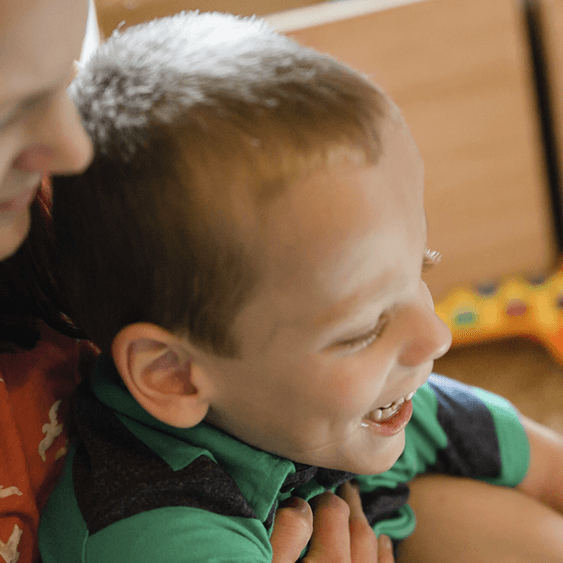 When asked what advice she has for other parents exploring AAC for their children, Sharon recommends starting early and focusing on possibilities rather than limitations. “Never fear the technology, even when they are little, because they can surprise you,” she says. “As a parent it sometimes feels easier to continue talking for your child. I've been there myself. It's important to think about what their potential down the road might be if they can speak for themselves. Give them your time, love and resources and you will see their confidence and skills build. Miles Espy is a typical five-year-old. He loves bouncing on the trampoline, playing with musical toys and having fun outside with his siblings. While he enjoys kindergarten, Miles is happiest at home where he enjoys the peace and quiet… and special time with his favorite playmate, Dad. At school Miles uses his NovaChat – a light, portable communication system built on an Android™ system – to name colors, numbers, shapes and people. At therapy, he makes choices about toys and plays his favorite songs. And at home, he's able to tell his family what he'd like to do, where he'd like to go and if he'd like a snack. How does it work? There are many ways to access and activate the vocabulary in a communication device, but in Miles' case he uses a touch screen to tap the buttons – much like you'd tap buttons on your smartphone to open an app. When Miles selects the button for 'hungry' a NovaChat voice says the word so that others know he'd like something to eat. Initially, Miles used NovaChat with switch scanning as his access method. With switch scanning, NovaChat scanned through choices and Miles could make his selection when the scanner highlighted that specific option. This is a method typically used with individuals who have limited motor control. But during a speech therapy session, Saltillo consultant Lisa Timm watched as Miles reached out to touch the device with his hands. Sarah says that NovaChat has definitely helped take the guesswork out of talking with Miles. “It's neat to see him stop, look, concentrate and successfully hit the button he's trying to hit, even with his motor impairments and vision difficulties,” she says. “I am so proud of him when he works hard to accomplish something. “I'm proud of my mom.” Even though some kids think it, they would never say it – especially in high school. Except for Quinn St. John, who has told his teachers multiple times that he's proud of his mom, Lynn. “We're still not sure why he said it, but maybe it's because I helped him find his voice,” says Lynn. Quinn, 20, has never talked. As a small child he wasn't interested in learning signs to communicate. Once he got older and started high school, however, he needed to learn ways to communicate with people outside of his inner circle. At first Quinn tried a device that had the capabilities of a typical tablet. Classmates often borrowed it to use for other purposes, leaving Quinn without a voice again. After learning about NovaChat 8 through an Augmentative and Alternative Communication (AAC) group working with the school, Kalle and Lynn agreed that it might be a good fit for Quinn. NovaChat 8 is a communication system built on an Android™ platform. It can be customized with a variety of vocabulary configurations based on the needs and abilities of the user. And it's just for “speaking”, so his classmates lost interest in borrowing it. Quinn has used NovaChat for about two years. He “chats” with staff members at school while he does deliveries around the building and helps out with other school chores like laundry and washing dishes. One of his primary goals is working social conversation into his daily activities. Because Quinn can now share what he's thinking, it's also easier for him to participate in group work activities and have his learning assessed by his teachers. This simply wasn't possible for Quinn before NovaChat. Quinn agrees. He's excited about expanding his knowledge of the device and his vocabulary. And, he admits that he's not just proud of him mom. He's pretty proud of himself, too. While a speech generating device can be paid for through personal means, funding options may be available via Medicare, Medicaid or private insurance companies. PRC and Saltillo brands provide a variety of communication devices that meet the guidelines set forth by these groups, reducing the financial burden and making communication possible. Explore both brands below, and you can always contact a PRC-Saltillo consultant near you to learn more about how a device may be funded. All of Saltillo's speech-generating devices are affordable and easy to use. We offer portable and lightweight hardware, combined with a range of vocabulary options. Although most of our vocabulary options are geared towards individuals using their hands for selections, individuals learning switch scanning or headpointing will benefit from our straightforward vocabularies. This provides children, teenagers and adults with complex communication needs the ability to communicate to their potential. While one vocabulary or language system may work for one person, it may not work for another. That’s why all Saltillo devices and apps come pre-loaded with a variety of vocabularies to help find the best match for different needs. With varying button sizes, options for scanners, and English/ Spanish language choices, there are options for everyone. WordPower provides quick access to common words, helps people learn to read and write, and guesses next letters or words to make communicating fast and easy. WordPower is available on all devices, and on the TouchChat with WordPower app. Every person with aphasia has their own individual communication needs. This vocabulary file is designed as a framework for clinicians and caregivers to customize and adapt. Developed using the Life Participation Approach, Communication Journey: Aphasia is available on all devices and the TouchChat app. MultiChat and other Saltillo vocabulary options that primarily use phrases for messages provide a quick way to communicate and interact with the environment. Available on all devices and the TouchChat app. Basic Scan, Intermediate Scan, WordPower 25 and WordPower 140 offer flexible options for individuals who are scanning. The ExploreAccess tool provides practice activities for switch scanning. Scanning files are best used on our ChatFusion devices, but are available on all devices. Saltillo offers three lines of funded devices to meet a range of needs and preferences. 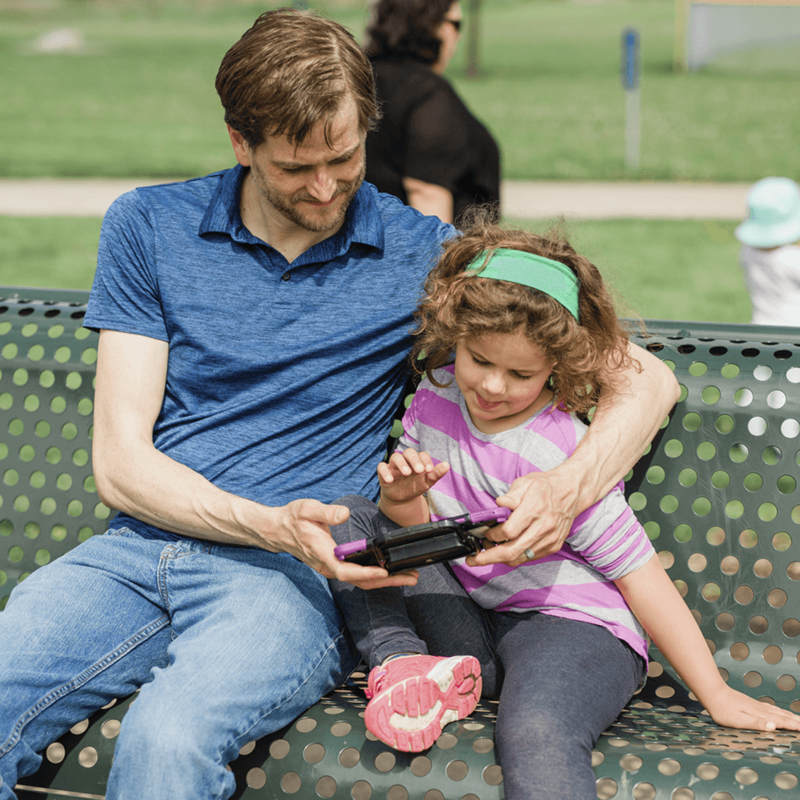 Designed with an active AAC communicator in mind, NOVA chat devices are lightweight, portable and feature a built-in amplifier that enables communication in loud environments. The range of sizes provides communicators and support teams the ability to find the best fit. Chat Fusion devices are engineered to provide independent access to individuals with a wide range of physical abilities. Features include access using switches and ChatPoint™ head tracking, a Touch-to-Wake setting, and wireless charging. TouchChat Express is powered by the iOS operating system and combines the familiarity of the TouchChat app with powerful hardware, amplifier and protective casing. This device is a good fit for those who know and love the Apple® line of products. Both PRC and Saltillo products offer support services for our funded speech devices that are the best in the industry. Our experienced Clinical Consultants (SLPs, OTs and other rehab professionals) understand your AAC needs. They can help you sort through the variety of devices and vocabulary options, guide you through the funding process, and help you set up and use your Saltillo device. Every device includes our warranty and unlimited live phone/online tech support for the life of your device. Training from Saltillo is designed to fit your lifestyle. Training is available in-person from your consultant. Additionally, you’ll find live, online or on-demand content to get you started and keep you learning. PRC's range of communication devices are powerful and flexible. We offer robust vocabulary options (we call them language systems) and a variety of methods to access a device to accommodate children and adults with a range of physical, cognitive, and language needs. Hardware is designed to ensure clients have full access to technology. Our developmental approach to language development is unmatched in the industry. This individualized approach provides children and adults the ability to improve their communication and language skills. PRC offers a variety of language systems designed to provide the best solutions for individuals who will benefit from AAC. These systems include the innovative Unity® family of language systems (Unity, LAMP Words for Life®, CoreScanner™, UNIDAD®), Essence® and WordPower™. Unity® is a system like no other. This language system uses symbols and icons to represent words and phrases. It allows even the youngest children to develop language skills quickly and easily – and then build upon those skills. Based on Unity and designed to allow the bilingual (Spanish/English) communicator to switch easily between English and Spanish. This language system is based on the popular Language Acquisition through Motor Planning (LAMP) approach to AAC language development. It is especially effective for children with autism spectrum disorders who are learning to communicate with AAC. Available in English and bilingual Spanish/English. CoreScanner is the only core word AAC program specifically designed for children just beginning to use switches and scanning. It starts with just a single word and builds gradually to thousands of words. Essence is a powerful, yet simple, spelling-based program. It is designed specifically for adults with ALS and other individuals who can’t speak but can read and spell. The Essence language system can be used with NuEye® (eye tracking technology) and NuPoint® (head tracking technology). It combines spelling with word prediction and expands abbreviations for expressing original thoughts. WordPower™ is a word-based generative language system that combines core vocabulary and spelling with grammar and spelling prediction. It facilitates fast, efficient communication for nonspeaking individuals in a short period of time. PRC offers two lines of funded devices to meet a range of needs and preferences. Our alternative access methods complement our AAC technology. Available in 8, 10 and 14 inch screen sizes, the Accent devices are designed specifically for PRC. 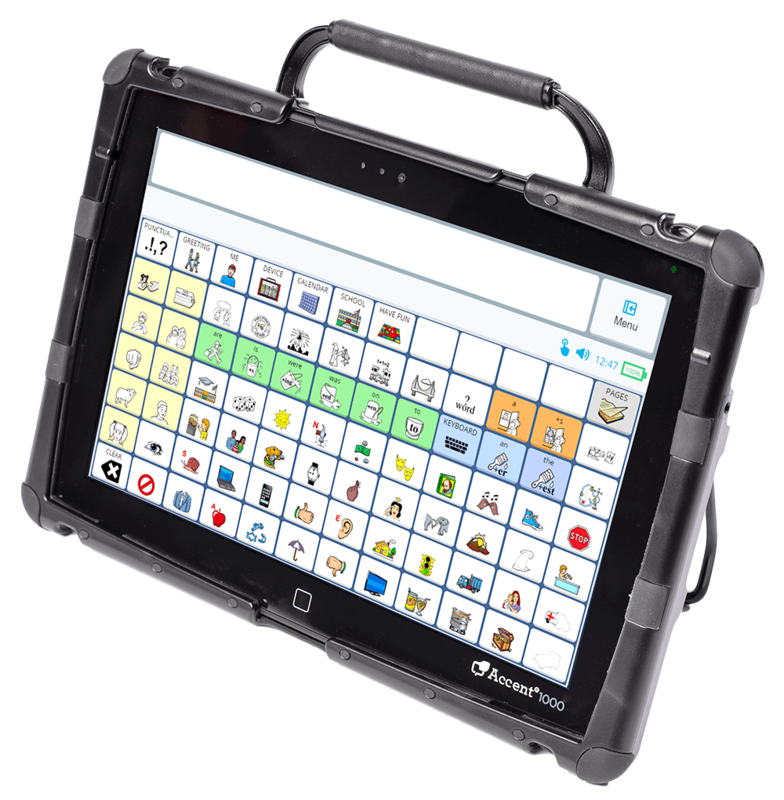 They include important features for AAC communicators such as long battery life, sturdy construction, and the ability to fully customize vocabulary. The device may also be used to control technology in your environment such as lights, music, TV and computers. Empower is PRC&apos;s new interface for Accent® devices that&apos;s easy to use. Empower uses common terms and familiar actions, with clear directions and descriptions. The streamlined and simpler navigation makes it easy to start communicating – fast. Currently Unity®, LAMP Word for Life®, and LAMP Words for Life-VI language systems are available in Empower. Empower is designed to drastically reduce set-up/training time – now you can do it all in one session. It&apos;s visually easier to program, with one-step programming. Customizable, it&apos;s intuitive to use and easier to learn. Empower also features a better Vocabulary Builder, with better visibility of options, and better Internet access. Download a demo version of Empower to your desktop or laptop and see for youself just how powerful and easy it is to use. Powered by the iOS operating system, PRiO combines the familiarity of the LAMP Words for Life app with powerful hardware, amplifier and protective casing. It is a great fit for those who know and love the Apple® line of products. Access Solutions - Eye-gaze, head pointing and switch options. PRC prides itself on the widest range of access options in the industry. Our NuEye eye gaze module, NuPoint headpointing module, and a range of wireless and wired switches provides support teams the comfort of knowing the Accent is fully accessible, regardless of physical needs. Both PRC and Saltillo products offer support services for our funded speech devices that are the best in the industry. Our experienced Clinical Consultants (SLPs, OTs and other rehab professionals) understand your AAC needs. They can help you sort through the variety of devices and vocabulary options, guide you through the funding process, and help you set up and use your PRC device. Training from PRC is designed to fit your lifestyle. Training is available in-person from your consultant. Additionally, you’ll find live, online or on-demand content to get you started and keep you learning. At PRC & Saltillo we recognize that a full-featured communication device is not right for everyone. We offer apps that provide many of the same vocabulary options in a familiar iOS environment, but limited in the support and technology features available on our devices. 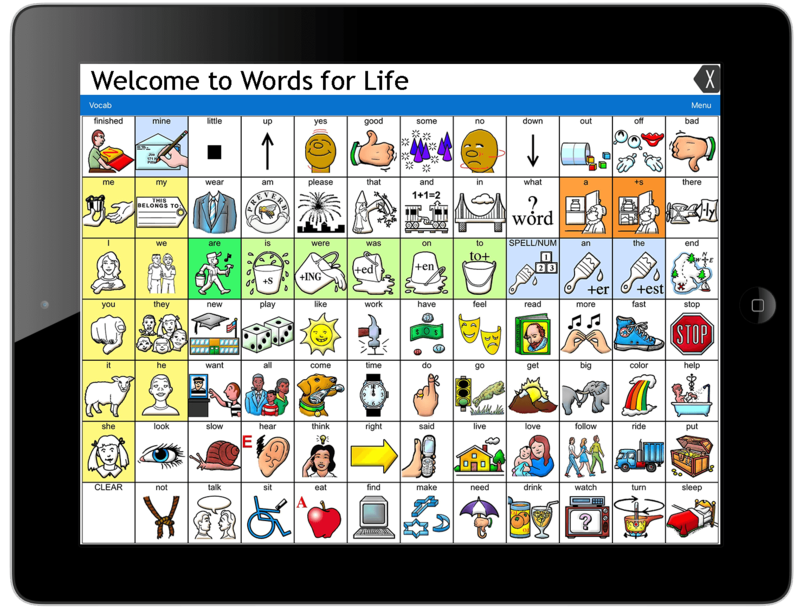 TouchChat and TouchChat with WordPower are available on the iOS app store. TouchChat offers the Saltillo vocabulary systems with the iOS interface for use on iPhone or iPad. In-app purchases include options for additional languages (Hebrew, Arabic, Canadian French, Spanish). The pages, grids, messages and symbols are fully customizable and text can be sent to iMessage, shared on Facebook / Twitter or emailed. LAMP Words for Life, the popular PRC vocabulary option, is available in app form on the iOS app store. It includes three options plus the Spanish/ English bilingual option. Words for Life gives access to thousands of words, each with a unique motor pattern. The exclusive word finder feature allows support teams to see the path to locate a word, making teaching language in AAC fun and easy. 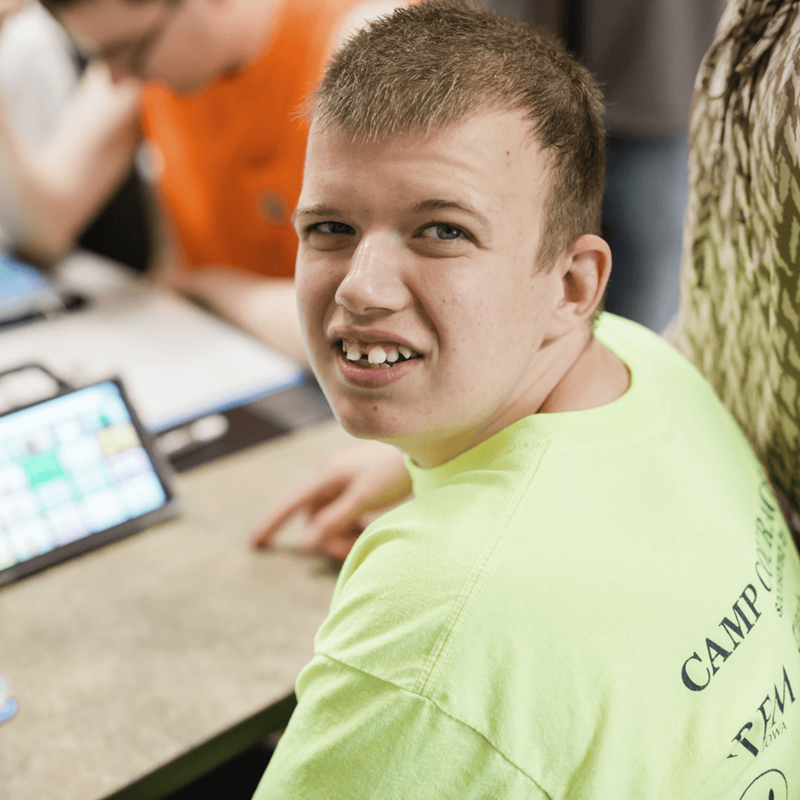 AAC apps from PRC and Saltillo are supported via our websites, online tech support, and Facebook groups. Fee-based training and in-person support are available upon request from our network of trained consultants. Check out our free low-tech boards. These are great tools to support the emerging communicator as they learn to communicate. They're also great for talking “on the fly” when your device is unavailable (like kayaking on your favorite river or relaxing in the pool!). Explore activities and language systems available within PRC & Saltillo brands of products. Connect with your local consultant to discover your AAC options! What can your consultant do? Click & drag to move map | Not in the U.S.? An employee-owned company that believes everyone deserves a voice, PRC-Saltillo leads the way in technology that gives a voice to those who cannot speak for themselves. Our family of communication devices, support & implementation solutions, and iOS apps provides a full range of products and services to clients, caregivers, and support teams. We pride ourselves on supporting our clients and integrating the best technology into everything we do. Drop us a line if you need more information to get started on your AAC journey!